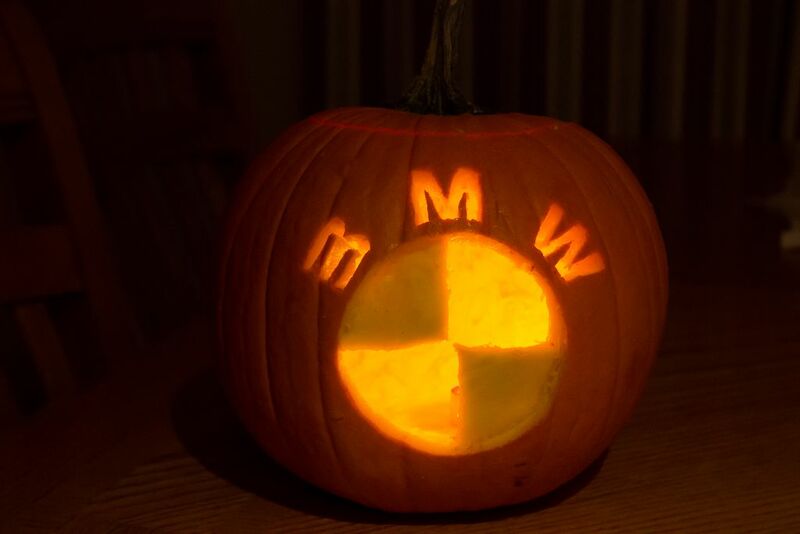 Continuing my Halloween tradition, I carved my 4th annual M Coupe related pumpkin. I wasn’t feeling quite as ambitious this year, so I went with the BMW Roundel. 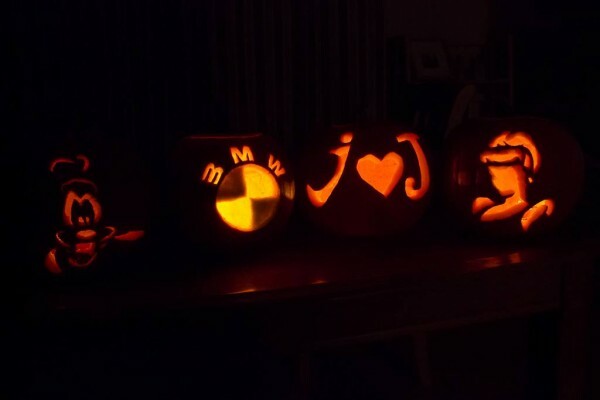 Any other good pumpkin designs out there this year? I bet the neighbors will know which one is mine :-). Fortunately, the delay in this conclusion article was not due to anything besides my own busyness. The new OEM Sachs clutch kit arrived safely to Alex’s and was installed without any significant issues. Alex got the coupe back to me, and it drives like a dream. I’m a little jealous of the nice, crisp shift feel after the shift pin service. The bummer is that there’s a 500-600 mile break-in period for the new clutch where you’re not supposed to shift over 4k rpm. 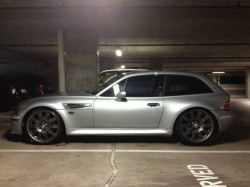 Man, it’s hard to short-shift; it feels so unnatural in a coupe. The break-in period ends right at 100,000 miles which will be a fun celebration for the new owner. 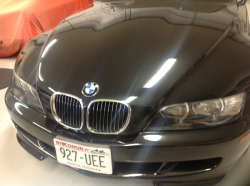 When I got the coupe back, I had a couple finishing touches that I had had on order. 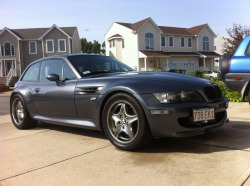 We replaced the AC/recirculate button that had a crack in it, replaced the door handle gaskets that were cracked, replaced the control button for the passenger seat which was cracked and loose, finished removing the windshield tint (Black Magic tint remover works great), and put a new sticker on the rear ///M badge. Sounds pretty good, doesn’t it? Unfortunately for those interested, it’s already sold. Fortunately for me, I never had to put together a sales listing; and best of all, it’s staying here in town. 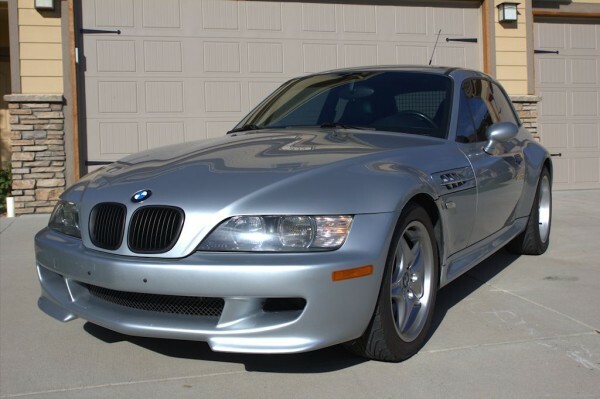 I met Carlos at a car show in Fort Collins the very day we bought this coupe. He came over to look at mine, my dad’s and Colby’s coupes and talked for a while. 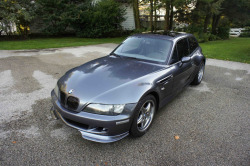 He mentioned he would love to find a silver over black coupe. I think the stars were aligned. It was not a done deal until this week, but I’m very excited it worked out for him. I’m sure you all will be seeing it again soon in future bbq photos. All things considered, my first project coupe experience was a great one, and I’d definitely be interested in doing it again. If you’ve decided to sell your coupe and think it would make an interesting project, send me an email at jon@mcoupebuyersguide.com. Now that the coupe looked brand new, it was time to make the drive match the looks. 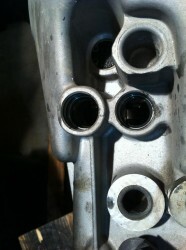 Step #1: shift pins. I knew I was completely out of my mechanical depth with that particular project even with Vinci’s awesome DIY. I contacted another local coupe owner, Alex (the up and coming “Randy Forbes” of Colorado :-)). I knew he had done the shift pin service at least once before, and he also happened to still have the drift tools. 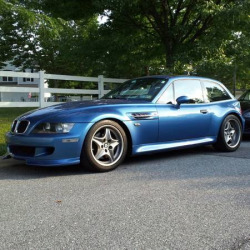 I then contacted Jonathan Thayer of BimmerDiffs.com to order up a shift pin service parts kit and some Amsoil for the transmission and differential. He was nice enough to expedite the shipping to make sure I got everything in time. When Alex came to swap coupes (yep, I now have his in my garage too :-)), I had him take it for a test drive with me to see if he felt anything we may have missed. In the first corner he mentioned that the rear shocks had to have been replaced (which we later confirmed). He also noticed some minor clutch slippage. 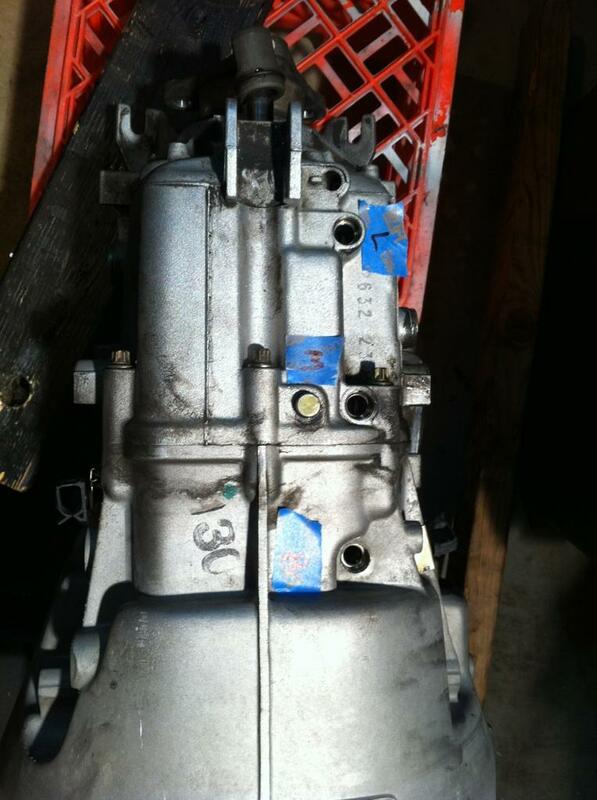 He suggested we just do the clutch too since we were dropping the transmission for the shift pin service anyway. We all agreed. 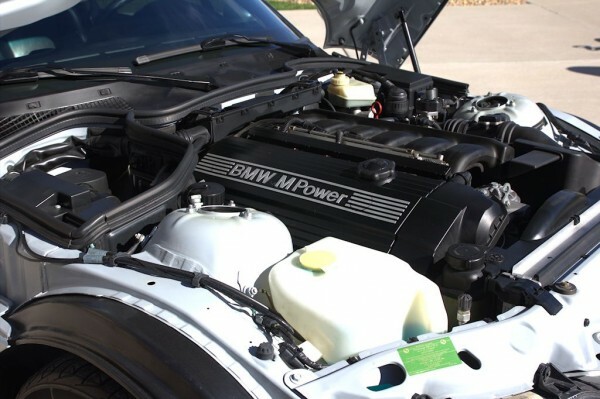 We took a good look through the engine bay where he confirmed the new cooling system components and m50 manifold. He also agreed with our previous assessment that aside from the headlights, everything else up front was original with no sign of previous damage. I’m pretty confident that it was never in any type of accident. The chrome-ringed headlights remain a mystery. It was an especially easy to make the decision to replace the clutch because the previous owner of the coupe had included a brand new one with the car. 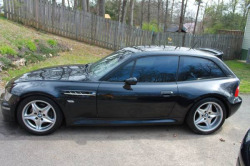 He said when he had first bought the coupe, the low clutch engagement had made him think the clutch was on its way out before he later learned that the low clutch engagement was normal on M Coupes. 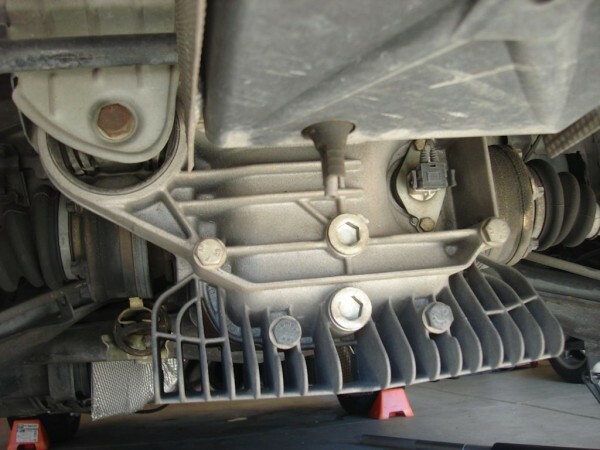 To be honest, I never noticed any clutch slippage on my test drive, but agreed it made sense to make the change given the transmission was being dropped anyway. The included clutch was an F1 Racing brand, stage 2 clutch kit. 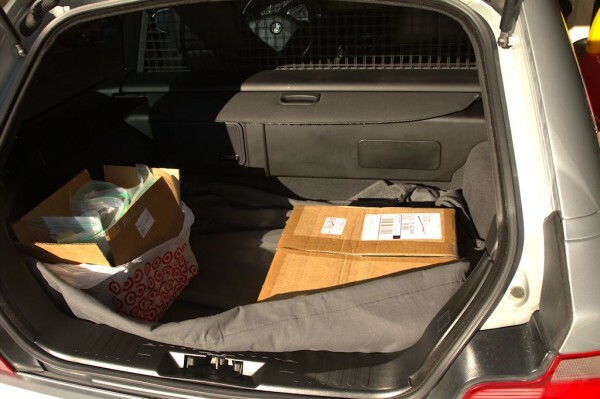 Stage 2 was probably overkill for this particular coupe, but the online reviews for this specific clutch were positive (I did come across some problems on Honda and Mazda forums). I packed up the hatch with the shift pin kit, Amsoil, and clutch kit, and Alex took the coupe back to his garage and lift (what service!). It all started out well. 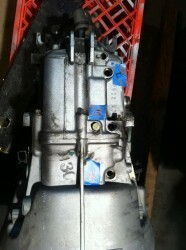 The transmission came out fine, but Alex noticed the flex disc (guibo) was soft enough that he could flex it by hand. That’s no good, so we got a new one. No big deal. The shift pins for reverse and 5th were locked in place which explains how horrible it shifted. He finished the shift pin service and moved on to the clutch. Removing the old clutch went fine. 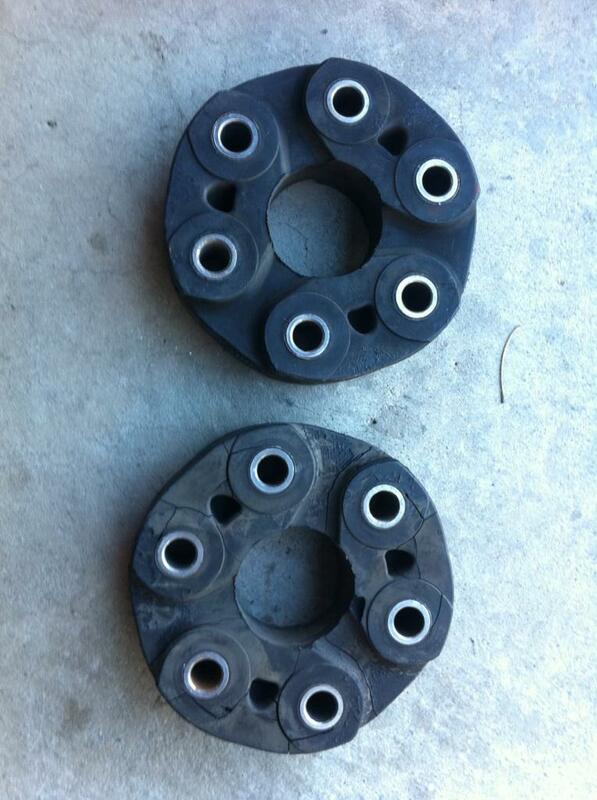 It appeared to be the original clutch and was in good shape for the mileage but obviously showing its age and mileage. It was time for a replacement anyway. Alex got out the new clutch kit. It seemed to be pretty well made. He lined it up following the sticker showing which side should face the flywheel and immediately noticed a problem. Once reassembled with the stock flywheel, the clutch disc would most likely weld itself to the throwout bearing guide tube when started. Was it on backwards? We did some more research and came across this thread. In it, it was suggested that you do install the clutch in reverse of the directions when not using an aftermarket flywheel. That seemed pretty sketchy. Alex called the clutch manufacturer, and they said their kit would not work with a stock flywheel. Well, I guess a new, stock clutch was in order then. I called the local dealership in hopes of being able to obtain one quickly and get the project completed. The parts manager recognized my voice, offered me a discount, and said he could get one by Friday. The problem was that their retail price was $575, and my price was $470. I pointed out that Turner Motorsports sells the kit for $336. He looked it up and confirmed it was the same kit. He said his own cost for the kit is $427, so he had no idea how they were selling it so much cheaper. He advised I just go with them this time since he could not compete with that price. I decided overnight shipping would be worth it this time, and placed my clutch order yesterday afternoon. It was already out for delivery to Alex’s house this morning. Crazy! Because we don’t have a ton of history on the car, we also decided to “reset” the maintenance clock by flushing all the fluids and doing an oil change. As previously mentioned, we’ll have Amsoil in the transmission and differential, as well as doing a brake and coolant flush. It should be good to go for a long time to come. So unfortunately, this does not wholly conclude the “Mechanicals” portion of this project. Alex has to work at his real job the next few days. Final results should be in on Saturday. I can’t wait to drive it again! 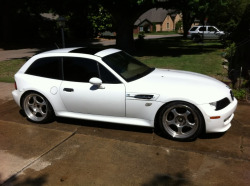 A couple days later, Colby returned with his detailing/polishing gear. We were fortunate to catch a break in the rain to give it a good wash both outside and in the engine bay. When I attempted to remove the stoneguards from the rear fenders, they started to disintegrate. They had bonded to the paint and could only be removed in pieces. So, public service announcement, remove and wash your stoneguards with ever wash. I’m guessing the previous owner had never removed them in the 3 years he had the car. The engine detailing was the most telling as it revealed a newer radiator and all new plumbing. The cooling system had been done! We also noticed the source of that extra power: an M50 manifold. It just got better and better. 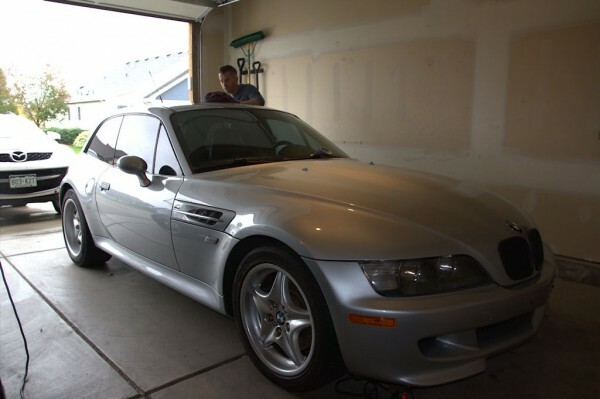 We pulled the coupe into the garage, and Colby got out his ridiculous new polisher and went to work. I watched the surface scratches melt away over the next 4 hours. He happened to nick the rear spoiler while polishing and thought it looked pretty good. So this coupe now has a mirrored black finished spoiler :-). He then introduced me to a product called Black Wow and Pre-Wow. They lived up to their names and all the formerly faded trim pieces now look brand new. It’s safe to say we took 50-60,000 miles off the look of the coupe. The following day, my mom, who generally has no significant interest in cars, dropped some stuff off in our garage while we were out. While on the phone she told me that it looked like a new car no less than 3 times. One of those times she even interrupted herself mid-sentence to ask if her coupe (and my dad’s) would ever look that good. Yep, Colby does good work! It was dark, but the first things I noticed were the blacked out kidney grilles and rear fender stone guards. There were also new-ish silver lug bolts. Squinting through the tinted driver side window, I spot aluminum ///M logo pedals along with the factory ///M floor mats. Oh yeah, and window tint including the top 3rd of the windshield. Windshield tint may be worth it in Florida, but it would not survive long at my house. It also had S54 curved M badges on both the back and side gills. 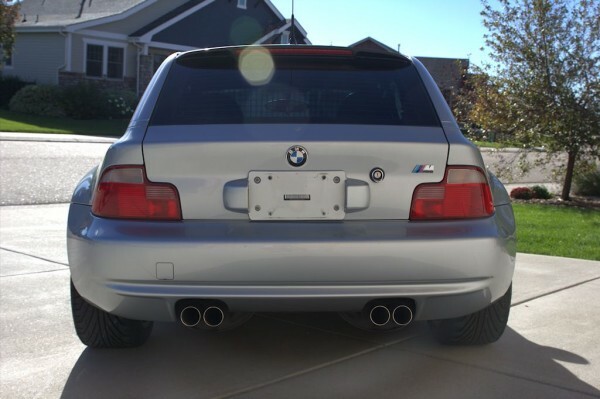 The rear badge was about the most faded S54-style badge I’ve come across and also placed in the S54 badge location. Not a huge deal, but I’ll be hitting up Tyler at Never Done Garage for some new stripes. The only concerning thing I noticed were the chrome-ringed headlights. If you read this article, you’d know that chrome-ringed headlights did not show up until the model year 2000 coupes, and this was a 1999. 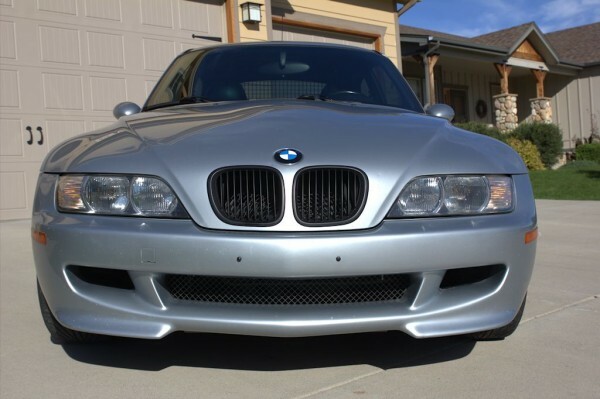 Usually things like obviously replaced headlights in addition to modified kidney grilles would be a red-flag of a possible front-end accident. I went back and looked at the 3-year old photos and noticed the headlights had been replaced at that point, but it still had it’s stock kidney grilles. 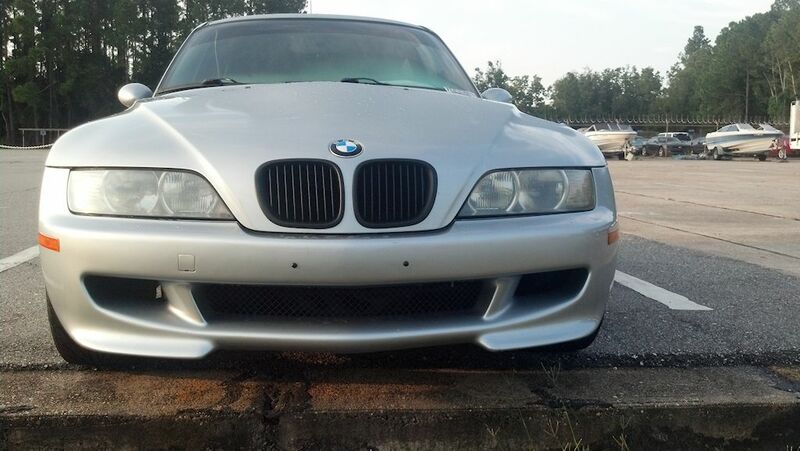 So the kidney grilles were replaced at a different time and most likely just for looks. That made me feel a little better, and the Carfax report we had run was completely clean; I still wanted to get some more eyes on it though. Overall first impressions were pretty good, but I’d have to wait until the next morning to see it in the daylight and take it for a drive. When morning came, I still couldn’t get into the car, but I took the opportunity to jack up the back of the coupe and check the diff mount. It looked perfect, phew! While under there I noticed some Goodridge stainless steel brake lines; that’s a good sign. The rear brake pads also looked relatively new. I came around to check the front brakes: OEM Euro floating rotors, score! I also spotted a UUC stainless steel clutch line. It had definitely been owned by an enthusiast. Things were definitely looking up. Around 10 o’clock, Colby arrived in his 2000 dakar yellow M Coupe around the same time the truck driver returned. I exchanged an envelope of cash for the keys, and it was officially in my possession. We immediately opened the doors to get a better look of the interior. The first thing I noticed was the Pioneer head unit I had not noticed the night before. It looked decent and had both USB and Aux inputs. Not bad. 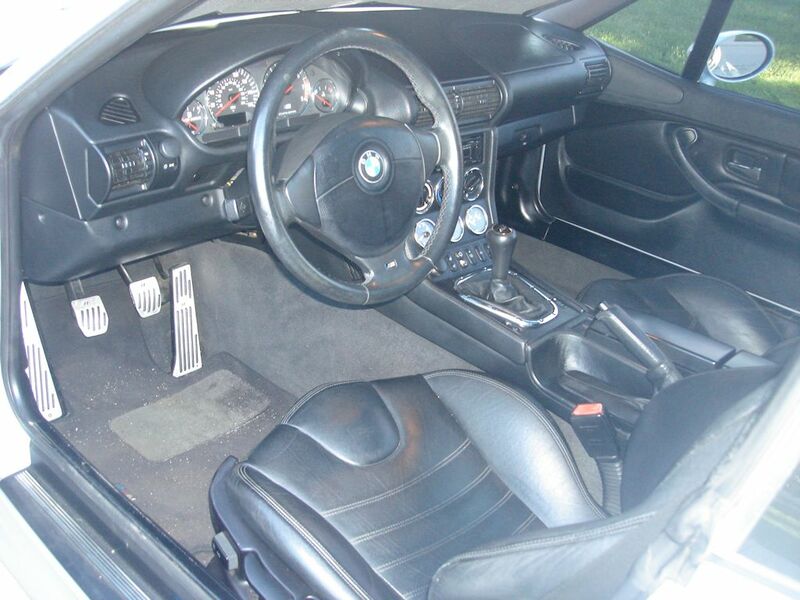 The interior itself was in better than average shape for a 99k mile coupe. The driver seat had some minimal bolster wear, and the seats looked a little dry from being parked in the Florida sun. The most obvious flaw was the cracked recirculate button in the center console, that would definitely need to be replaced. The rest looked like it would clean up pretty well, and the seats would look much better with some leather conditioner. We next went around to the front and checked out the engine bay. Everything appeared stock and operational. We’d get a better look once we detailed it. Now it was time for the first drive. I was admittedly a little nervous when I first started it up. What had I gotten myself into? It started up fine, went right into reverse and off we went. Driving down my street there were no worrisome rattles or clunks. I breathed a sigh of relief. When we stopped at the stop sign at the end of my street, I had a little trouble getting it going before realizing I was in 3rd gear. Oops! I shifted and off we went again. When I upshifted I found myself in 4th rather than 2nd. Something strange was going on. At that point I noticed that the shift lever went all the way to the right whenever it was in neutral. Darn, the dreaded shift pin issue. I guess at least I had something to work on in my “project” coupe. We continued our test drive through the farm land east of my house. I realized then that I had never actually driven an S52 coupe before. Of the 10-15 coupes I’ve had the pleasure of driving, they had all been S54s (I guess I live a charmed life :-)). It felt much more peppy than I expected, and Colby thought the same. We pulled over and started pressing buttons. Everything was in working order. Colby drove back to my house and confirmed that it definitely felt faster than his S52. Interesting. Maintaining this website, I obviously come across a lot of coupes. Most of the time I can just admire them from afar, but this time things worked out differently. 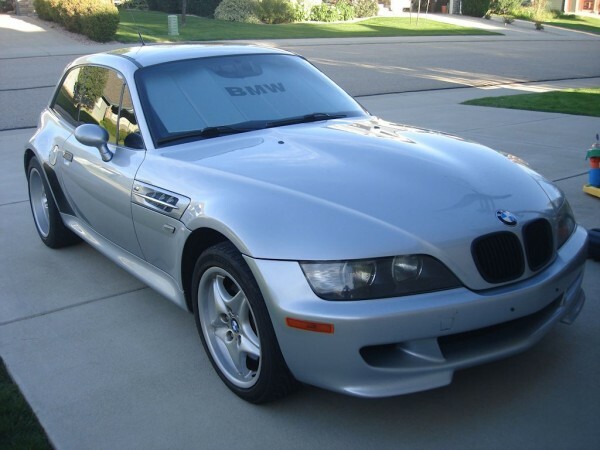 For quite some time Rick Medeiros on the east coast, Mark Rand on the west coast, and I, here in Colorado, have thrown around the idea of buying a coupe with potential, helping said coupe realize it’s potential, then finding a deserving owner to take it from there and enjoy it. The idea is not necessarily to make a lot of money, it’s more about taking the opportunity to feed an obsession, learn more about the coupes we love by doing projects our coupes don’t require, fully sorting nice drivers’ cars for fellow enthusiasts and hopefully not losing money in the process. A couple weeks ago, we found just such a coupe and took the plunge. 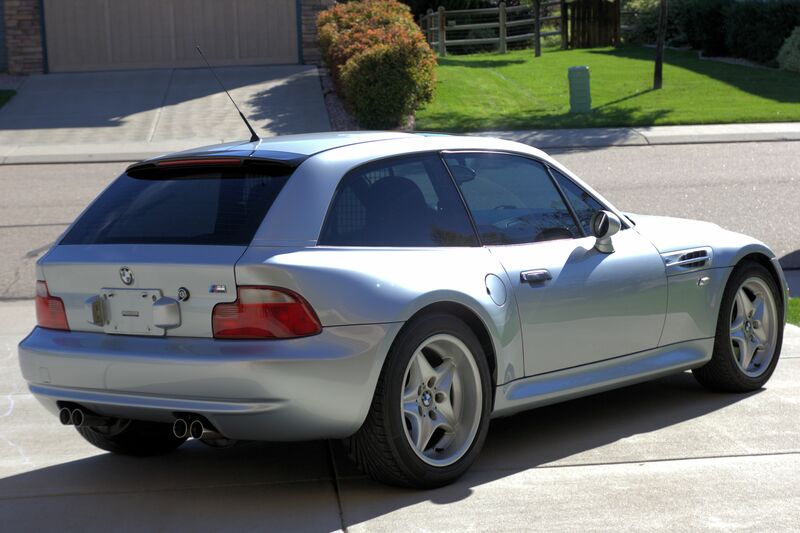 The story of this coupe is an interesting one. 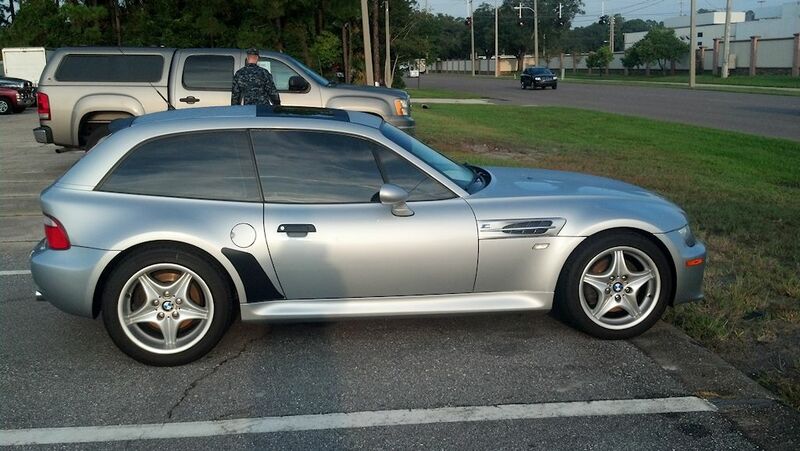 It all started when I saw a post about someone having spotted a “Z3 hardtop” with a for sale sign in Jacksonville, FL. You never really know what people could mean, but I PMed the original poster and asked if he had taken any photos just in case. 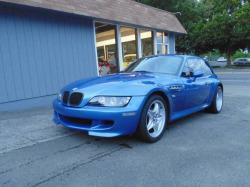 He texted me some photos which confirmed it was indeed an M Coupe, and the for sale sign in the photos had a phone number on it. We decided to call and were pleased to find out the owner was a military officer (in my experience, they always seem to have well maintained cars). 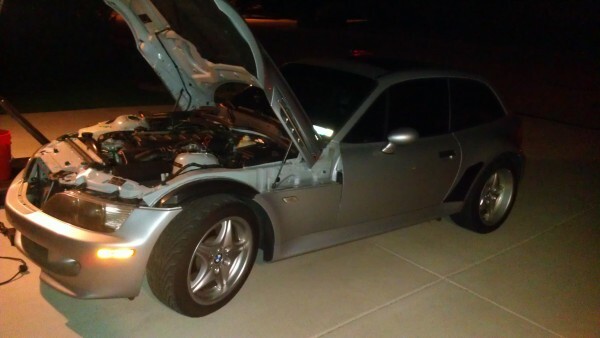 He had owned the car for about 3 years and purchased it in North Carolina. 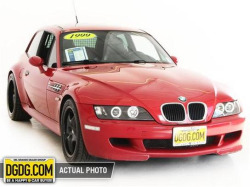 So what do you look for when buying a coupe sight-unseen? First, we decided to run a Carfax report to confirm its history. It showed a clean title and no reported accidents. It also confirmed that it had been in North Carolina 3 years before. Everything checked out. It was a little light on reported service records, but most independent shops don’t report, so that’s not necessarily unexpected. The good news was that it had spent the first 11.5 years of it’s life in warm, dry New Mexico and Arizona. This is always a plus because you can be pretty sure it never had to deal with salted winter roads or salty sea air. The next thing I usually do is Google the VIN number just to see what comes up. Most of the time, it’s just brings up bmwmdata.com or my site, and that was the case with this search. Every once in a while I come across a warning on a forum of an unreported accident or a listing on an insurance salvage auction site though, so it’s always worth checking. Finally, I put the VIN into my own system. 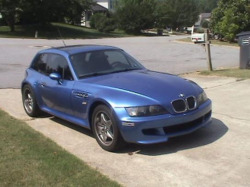 I started my M Coupe Buyers Guide site a little over 3 years ago, so I figured I must have had this coupe’s previous listing in my database. Indeed I did, but I was disappointed by what I found. 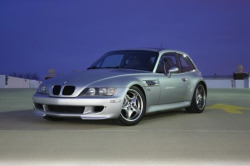 If you’ve been following the coupe market for a while, you’ve probably heard of ES Motorsports in Greensboro, NC. They do not have the best reputation, and they’ve sold some questionable cars over the years. This coupe happened to be one of theirs. We asked the seller about it, and he was aware of their reputation. He said he had done an independent inspection before purchasing it. He also pointed out that he had 3 years and nearly 25,000 miles trouble free since that time. Fair point. He then promised (with the word of a military officer) that we would not be disappointed. We took his word for it and bought it. The next step was determining which one of us we should ship it to: Rick was closest, Mark had arguably the best market, and I split the difference. I guess I won the lottery this time :-). 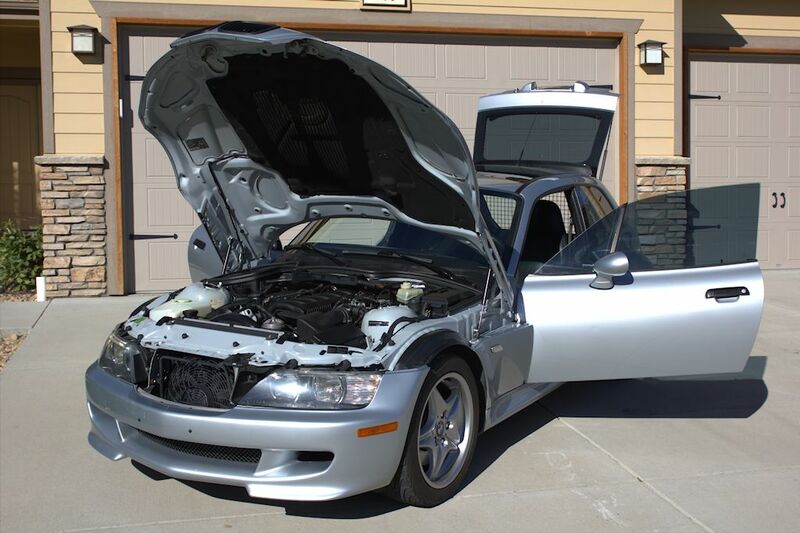 We used UZ Auto Trans Inc. out of Denver which got the car to us in great shape and remarkably fast (at least compared to my previous experience). In any case, I would definitely use them again in the future. 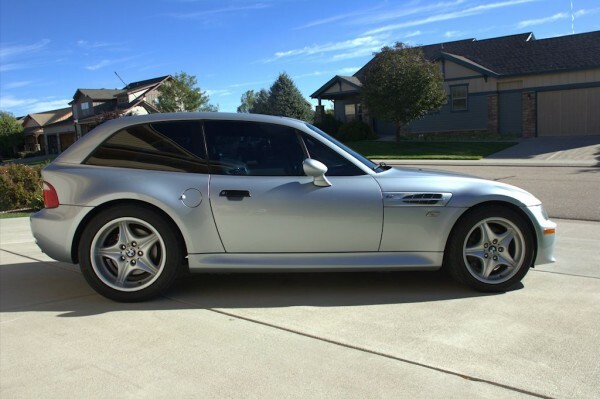 It was not quite the same as when my coupe arrived, but it’s never a bad day when a truck drops off an M Coupe in your driveway for any reason. It also happened to be the same weekend I was coupe-sitting for my parents during their garage sale. 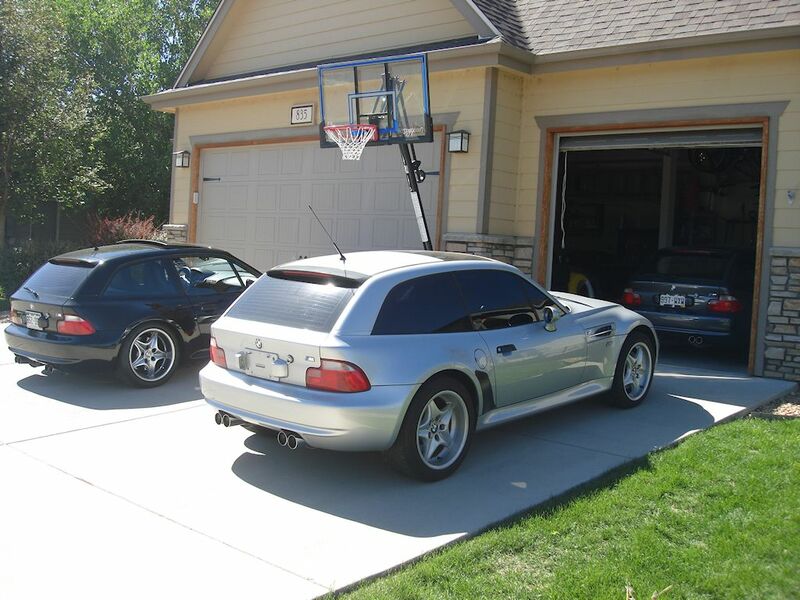 Three coupes in my garage? Yes, please! Unfortunately the delivery occurred at 8:00 PM in the evening, and due to a miscommunication about the transportation company not accepting personal checks, the driver could not leave the keys with me until I could get a certified check or cash from the bank the next morning. My neighbors were probably wondering what I was doing on my driveway shining a flashlight into a car, the doors of which I could not open, but my curiosity was overwhelming. Up until that point, we had only some cell phone photos and its listing from 3 years ago. Would it really live up to our expectations? This article got way too long, so I decided to split it into a multi-part series. Stay tuned for Part 2 tomorrow.